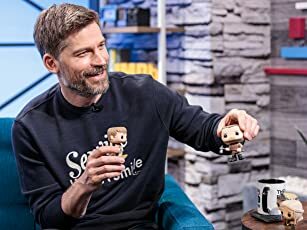 Can a great man be a good man? Steve Jobs: Everyone, everyone, everyone. Everyone is waiting for the Mac. Q: What is 'Steve Jobs' about? Q: Is 'Steve Jobs' based on a book? 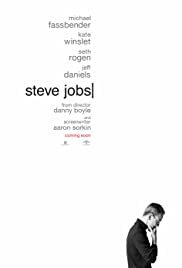 According to technology reporters such as John Dvorak and Leo Laporte (both "old school" ones, who personally lived many of the events portrayed in this film), it seems that Steve Jobs is more fiction than reality; fortunately, it's a perfectly acted, well written and solidly directed fiction, all of which is conjugated with each other in order to compensate its curious narrative decisions. But, does it really offer us a "real" vision of the genuine Steve Jobs? Probably not; for that, there are numerous books and documentaries. What screenwriter Aaron Sorkin attempted was capturing the essence of the man and his moment in time, examining his nature through the interaction with friends, relatives and colleagues during three stressful moments. As I said, "curious narrative decisions"... but with an interesting result. The unusual structure designed by Sorkin requires an excessive chronological manipulation, suggesting the fact that all the personal and labor problems from Jobs exploited (or were solved) in the previous minutes to his famous presentations... not only once, but three times. Even Jobs himself mentions that (well, the idealized version brilliantly played by Michael Fassbender), but that doesn't excuse the forced narrative juggling of the screenplay. Fortunately, the whole cast makes an exceptional work, transcending those tricks and bringing fluid and absolutely credible performances. Besides, Steve Jobs precisely captures the ideological separation and fraternal compatibility between Jobs and Steve Wozniak, the adored patron saint of hackers who knew what people wanted... but not what they needed. That's where Jobs shined... imposing his taste and will on the consumers, even though many years went by before the economic success validated that arrogant attitude. 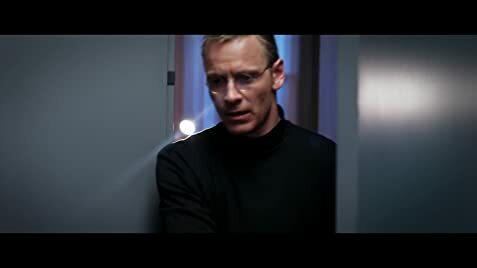 In conclusion, I don't think Steve Jobs works as an apocryphal History lesson about the digital revolution we currently enjoy/suffer; however, I found it quite an interesting biopic, not only due to the phenomenal performances and Danny Boyle's elegant direction, but also because of its intentional rejection of the biographical clichés which almost always feel superficial and incomplete. Sometimes, the fragments of a portrait end up being more interesting than the whole picture. Nevertheless, my indifference for the Apple products remains. 44 of 73 people found this review helpful. Was this review helpful to you?